Silver and his teddy. aww he wants to be ;left alone. HD Wallpaper and background images in the Silver the Hedgehog club. Awwwww, do I have to? yea whats he on about? "Um...I'll just sit here and be quiet! Pweeeeease let me stay!" 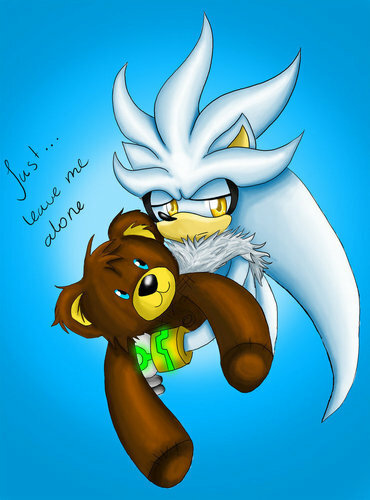 yeah go and hug yur teddy hes way betta than me man silvers so retarded JUST KIDIN'! So adorable! That's exactly how I am when I have my Silver doll by my side, whether I'm reading, writing, or drawing. AgentShadow dont u dare! that is such a sweet moment! I also have a silver doll shadowshaman. I love it very much!